Cul de Sac is Rome’s best wine bar. 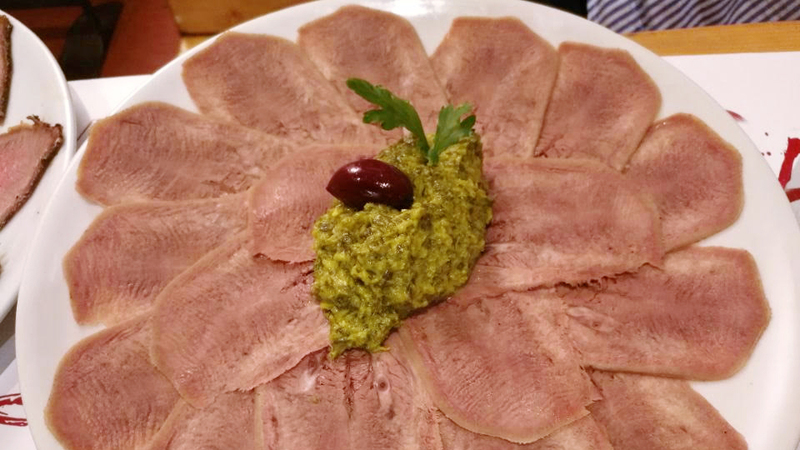 Authentic down to earth, hearty, mostly Roman dishes, a very good selection of charcuterie and cheeses, and a truly hard to lift, huge wine list all make a night at Cul de Sac memorable. A Roman smorgasbord tripe, tongue, roast beef and oxtail stew! I am living proof that eating at Cul de Sac is good for you. Simply put, there is no other place in the world, outside of my own kitchen, where I have eaten more in than Cul de Sac, Rome’s best wine bar. Guy Tamba and his partners opened Cul de Sac in 1977. I can say I have been there almost from the beginning, turning Cul de Sac into my high school summer lunch spot and university canteen. I have grown along with the staff, as has my girth, unfortunately. Silvia Cinque, who arrived in 1980, is still at Cul de Sac, speaking and advising clients with the same grace and charm of a junoesque Roman beauty that tells you immediately you are in the land of Silvana Mangano, Gina Lollobrigida and Sofia Loren, of women who like to eat and drink, and look splendidly healthy. And Cul de Sac is often filled with stars and starlets just relaxing and having a good time. Daniel Auteuil, Daniel Dafoe, Francis Ford Coppola, Monica Bellucci and many others have all dined here at one time or another. These walls could tell many fun stories.Tamba remembers one man many years ago who had had so much to eat and drink one evening that once home he could no longer find his dog. And so he called Cul de Sac to see if perhaps he had left the poor animal there. Sure enough he had. The staff found the dog happily walking around from table to table feasting on all the food that was being handed to him by the animal loving patrons who thought he was the owner’s pet! The atmosphere at Cul de Sac can be a bit harried given how packed the place gets, but the staff is kind and helpful, even though you might understand if they behaved otherwise. Cul de Sac does not take reservations. My advice is to come early, both at lunch and dinner (say no later than 12:30 at lunch and 19:30 for dinner), or you will be stuck waiting in line for quite some time. Over the years, Cul de Sac has become one of Rome’s hottest dining destinations, where a seat at the rather snug tables is coveted by Romans and tourists alike. It’s getting to the point that if the United Nations of foodies waiting at the door doesn’t let up soon, they might have to start issuing visas at the door just to allow people in. 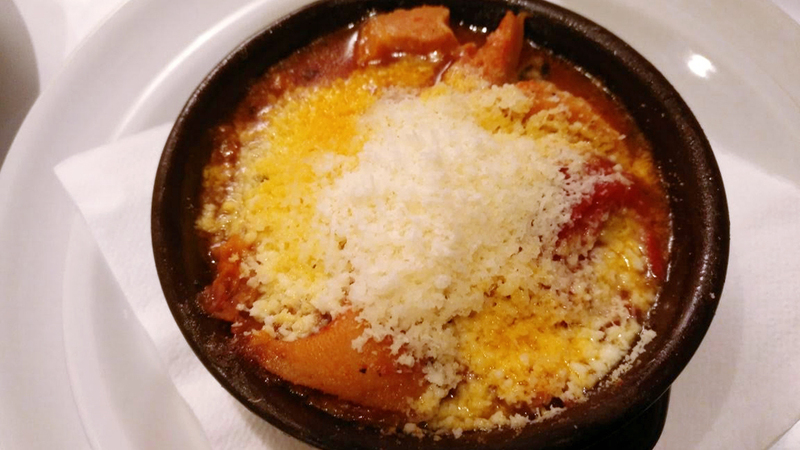 The food at Cul de Sac is hearty and satisfying, though some dishes are better than others. Don’t miss out on the sweet and sour boar paté, made following a16th century recipe that includes cocoa (you can see the chocolate in the slab on your plate). Lather some on the very good bread they serve it with and you’ll find yourself in hog nirvana, but you have to like a little sweetness in your main food. 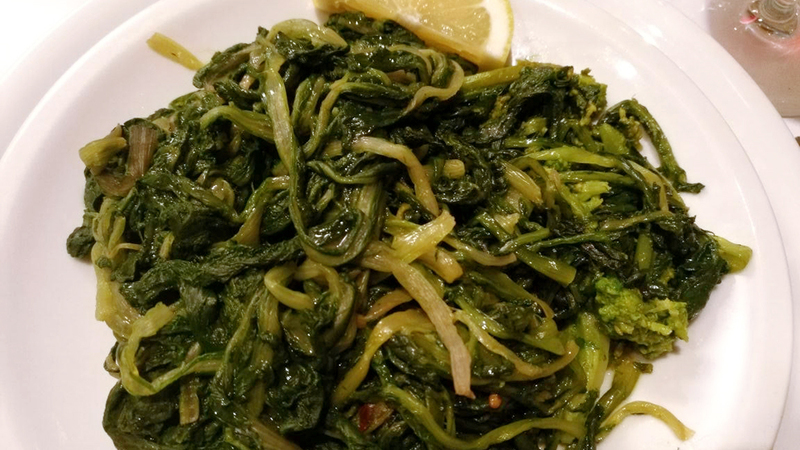 The antipasti are great choices (especially the tongue in salsa verde), and the individual soups are also highly recommendable, especially during Rome’s cold winter months. 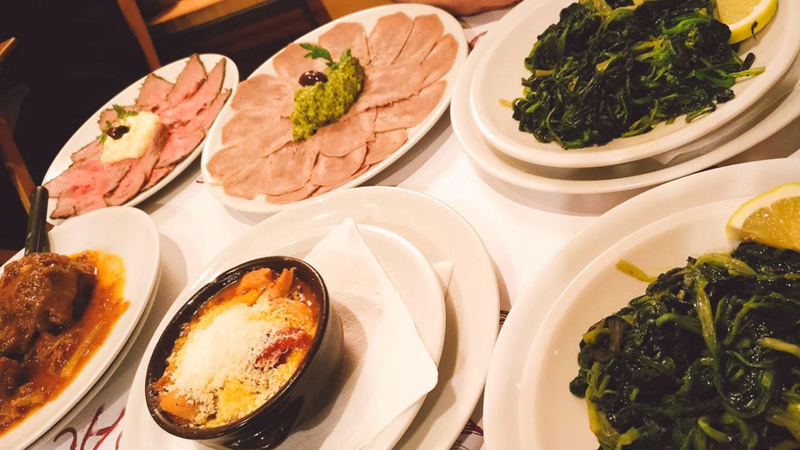 The pastas are solidly made, but even better are the many salumi and cheese choices to pick from. The tripe can be a little salty, so depending on what you are used to back home, make sure to tell them to go easy on the pecorino cheese. 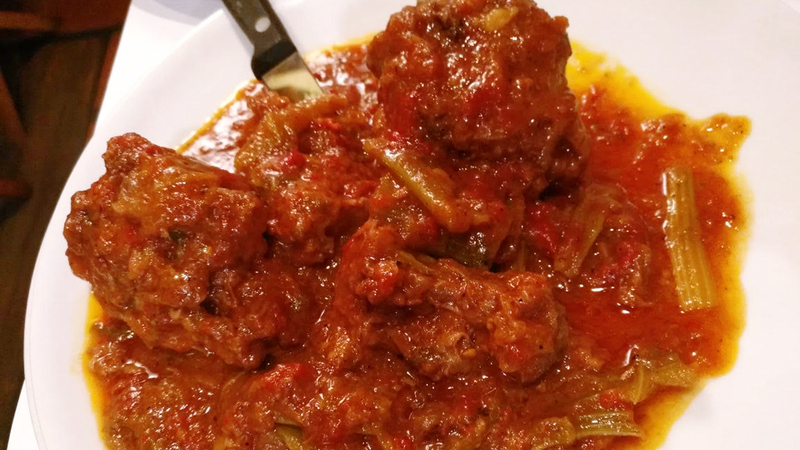 By contrast, the coda alla vaccinara has never been one of Cul de Sac’s best dishes, with the meat always a little too tough and nervy. Call me a food masochist, but it can’t be that bad, for I keep ordering it. The wine list at Cul de Sac is more than just impressive, but make sure you tell them you want the “vera” carta dei vini, otherwise they will always bring you a much shorter wine list, admittedly easier to manage and navigate, not the tome of Britannica type proportions that has contributed to making Cul de Sac’s fame. The list boasts 97% Italian wine, though there are some good foreign choices to be had. 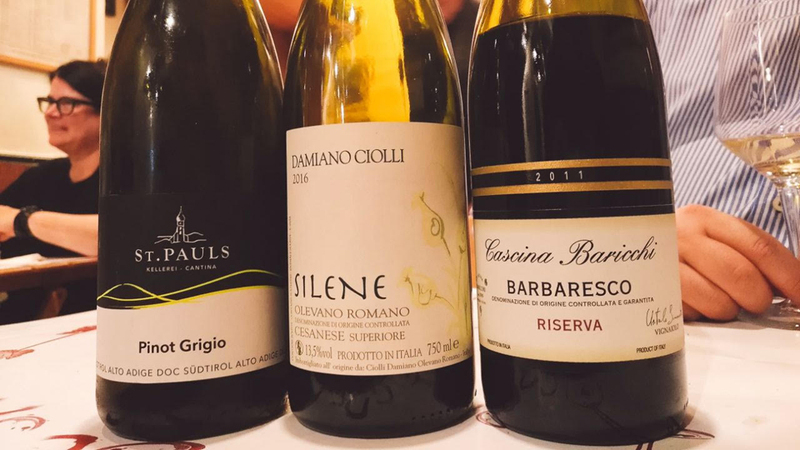 The breadth of choices from little visited Italian wine regions is especially commendable, as is the Coravin ‘by the glass section’ of slightly older vintages, though there are also, for example, roughly two pages of tightly spaced Barolos for you to peruse through. On this day I enjoyed three lovely wines that only helped make the meal an even bigger success. The 2016 San Paul’s Pinot Grigio Alto Adige is a splendid aperitivo, with greater depth and size than is usual for many entry level Alto Adige Pinot Grigio wines. I have heard reports from people I trust that this producer has really turned the quality corner, and everything I have tasted lately from them would seem to confirm this impression. There aren’t too many people more talented at making wine than young Damiano Ciolli, and I don’t mean just in Lazio and Italy. I have been following his wines since 2000, I greatly admired his father’s viticultural talents, and am one of Damiano’s biggest fans. That said, while the 2016 Damiano Ciolli Cesanese di Olevano Romano Superiore Silene (when in Rome, drink like the Romans) is the usual great Silene we have all come to know and love, I will say that I liked it less than usual, and was not so thrilled with this specific vintage’s dark color and similarly dark fruit aroma and flavor profile. Usually, Silene is far more floral and red fruit based, so I guess the signature of the vintage is shining through. Still, it’s remarkably dense and complex for what is essentially an entry-level wine. The 2011 Cascina Baricchi Barbaresco Riserva was a real stunner, heavily marked by the hot vintage in its almost roasted and super-ripe red cherry, raspberry syrup, sweet spice and almond paste flavors, but I couldn’t put the glass down. It was long pure and luscious, and I say this even though I prefer my Nebbiolo wines more on the cooler climate side. Still, it’s hard to argue with this beauty. Every time I walk out of Cul de Sac, I do so with considerable spring in my step and a happy heart and mind. Call it adolescent memories coming alive again, call it great food and wine, call it lovely company… I don’t really know. I also don’t know just how often I have eaten here over the years, but I’m sure the number is staggering, in the various hundreds of times, at least. The great thing is, I never tire of the place: and God willing, just like Arnie, I’ll be back. And back. And back again.